Hi all and welcome Harper.! I have the e-book for the Mediterranean Diet. It cost only $10.00. I like it a lot. It has meal plans as well as recipes.Of course it has the description of the diet. 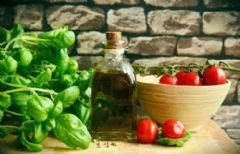 SparkPeople just put out a good article on the Mediterranean Diet. Just put "Mediterranean" into the search bar. You should be able to find it. If you have a problem message me. I'll be glad to help you find resources. I think the diet is great! But of course, I'm prejudiced. Have a great time here and a even greater day! Hi, I am new to this team, not to spark , have been here a few years, I am looking for a healthy way , plan to stick too, I keep hearing about this diet but still am not sure what it includes, would LOVE all the info I can get , this seems like , from the little info I have that it would be right up my alley, so I look forward to learning about it and getting to know everyone. I have to look into the book, Sonoma. Hi everyone! I'm not new to Spark, just this team. The Mediterranean Way really seems to encompass so many of the foods I naturally love and enjoy but need some help staying focused on it consistently. If we are being honest, who CAN'T love a way of eating that while helping you slim down and slow down in your eating still includes dark chocolate and wine! I've picked up the book The New Sonoma Diet and The New Sonoma Diet Cookbook and can't wait to get started in earnest!